How are China and the United States not complicit in maintaining the horrible conditions of the civilian population of North Korea for over 70 years, including the North Korean famine in the 1990’s that claimed the lives of more than a million civilians? China and the United States are the architects of poverty, famine and death in their dance with history involving Korea. Writing this makes me feel nauseous and sorrowful. This is a wrong that needs to be righted, now. And perhaps it will be. The coming together of the Communist and Capitalist Germanies didn’t wreck things. The Berlin Wall turned out to be a statement with no substance. Our leaders paid more attention to ending that separation because it involved Europeans, with whom we have an affinity. This disparity demonstrates that few in the US really care about North Korean citizens since they are alien to us. So, we’ve kept the status quo for 70 years without paying attention. Let’s say that North and South Korea came together as a single country. There would be as little hysteria as the Germanies. Practically the only consequence to the West would be that the unified “Korea” could, if negotiations fail, become a nuclear state. I doubt that this combined nation would do the United States harm, especially since we would have stepped out of their internal affairs and removed barriers to trade, and we would still want their exports. Given the right to govern their own affairs, the two Koreas also have a right to maintain two separate sovereign states. The removal of US troops and sanctions in this scenario will have a salutary effect on the United States. Thereafter we cannot be rightfully blamed for what happens on the Korean Peninsula, and so there would be no reason to aim nuclear missiles at the United States. The isolation of North Korea by China is largely driven by their fear of illegal immigrants. If the northern border was more open, huge numbers of North Koreans would cross into China to live a better life. The Chinese have had a very effective “border wall” in place for 70 years, and anyone who gets across is subject to being shot. The Chinese don’t want any Koreans to enter their country at all. They’ve had in place for 70 years the border wall that Trump only dreams of. For the United States, the isolation of North Korea is likely more based on ennui and lack of attention than anything else. This lack of interest is covertly racist, in that we have almost entirely turned the other way on what we do, in the face of starvation and famine of Asian people we don’t understand. Even South Korea has made a series of overtures to North Korea for the two nations to be joined or to cooperate. Until now the US wouldn’t hear of it. We have our troops stationed at the 38th Parallel to prevent any cross-border contamination, though we don’t shoot Koreans who make it across this red line. Our vice president snubs the lead North Korean delegate at the Olympics. To be more specific, what would happen if the United States unilaterally withdrew all our troops from the Korean peninsula, and dropped all sanctions and blockades against North Korea and encouraged others to do the same; and stopped meddling in the internal affairs of the Koreas? No one can say, yet one can imagine. The first consequence would be that Kim Jong Un would really have no one to complain about or threaten with those nuclear weapons. He’s said he might give up his nuclear arsenal if the US threat is withdrawn (those nukes are very expensive to build and maintain!). China would likely increase trade with North Korea, yet still maintain their border wall. With better economic conditions and normalized trade, the Chinese border wall will likely no longer be a big issue. China is entitled to keep out illegal immigrants but has no greater right than us to starve the country they may be coming from. It’s likely that regardless of the new round of talks, after a lot of posturing over a period of years the two Koreas would find a way to reunite their countries, perhaps under some sort of semi-socialist political management. That’s the way it went in Germany. Why not with the Koreas? They are sovereign nations, so they don’t have to, though. The United States has for many decades kept up sanctions and blockades against North Korea. The only tangible result has been that many North Korean civilians live at a starvation level. Studies show that sanctions rarely work in any event. There is only shame on us and our partners for continuing to promote poverty and poor health when such sanctions are explicitly not working and not justified. 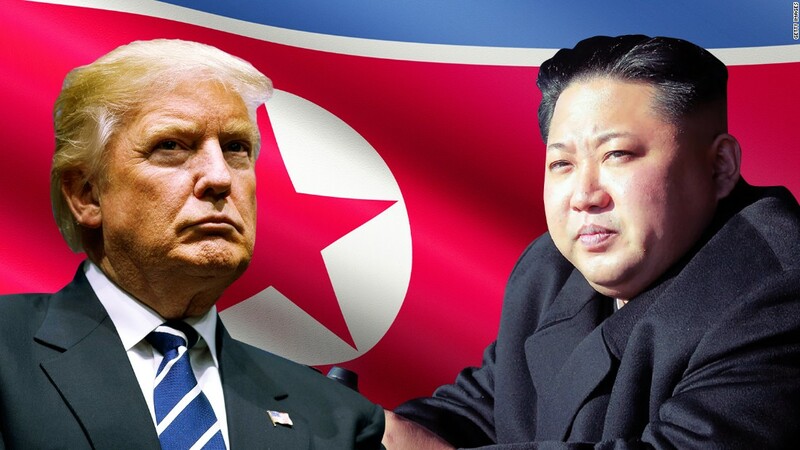 Removing the US military presence, and the economic sanctions and blockades, will among other things have the effect of stopping the United States from being a conspirator in the starvation and lack of access to medical and agricultural advances among the 25,000,000 citizens of North Korea. Sometimes I feel like we see what the US is doing there only as a personal duel between our president and Kim Jong Un. We tend to forget about the 25,000,000 individuals who live in the worst possible conditions in North Korea, mostly because of what we are unconsciously doing. I am a black belt in Korean Tae kwon do. My teaching masters made me tough as nails. The South Korean grand masters were more tough than you can imagine. North or South, the Korean character is to take what is thrown at you and throw it back, harder. The average Korean, North or South, has more strength and determination than you can imagine. The United States should stop trying to keep its boot on the neck of the Korean Peninsula. It hasn’t worked up to now and will never work. Let the Koreans decide their own fate. They will do a good job of doing so. From http://www.mcgeepost.com Copyright © 2018 by Michael H. McGee. All commercial rights reserved. Non-commercial or news and commentary site re-use or re-posting is encouraged. Please feel free to share all or part, hopefully with attribution. Lagniappe. This stuff is not a part of the blog and so read it only for your amusement. It is quite speculative and imaginative and is not researched at all. Kim Jong Un with his Hollywood-style antics has done a good job of waking up the US policy makers from their 40-year sleep. I’ll bet he has almost run out of “nuclear weapons”. The underground explosions that were set off were likely black-market bombs or even groups of suitcase bombs, all of which were bought up over the years to use for a display of forceful ability. It’s likely that none could have ever fit on a missile. And nobody’s ever said for certain that North Korea has the ability to manufacture plutonium. There is only speculation that this is so. Kim Jong Un knows that it will lose any nuclear exchange, so his threats are no more than paper tigers. The drama of the hermit kingdom affecting world history has been cleverly scripted by North Korea, with the intention of waking up sleeping policy-makers in the US and China. It seems to have worked. Now fully awake, our US policy-makers are well aware that North Korea has not been a real threat for many years. Kim Jong Un and his ensemble acting company gets good reviews for bringing a serious problem to the light of day. ← Is What We See with our Eyes an Exact Duplicate of What’s Out There?